I just got a buddy request from an unappropiate user. Not that i really mind, but does anybody know just Why people do that kind of thing? See ya! Hi everybody! Today´s New Item is the Giant Phantom. Cool! Also, tomorrow the November Member Gift should arrive. I think it might be a Giant Artic Wolf plushie, but no idea. See ya! Not much to say about them, don´t you think? Anyway, have fun in Jamaa! Hiya! Sorry for posting late, as you probably have figured I totaly changed the blog desighn and it took ages. What do you think about this new look? Anyway, today´s RIM is the Rare Clover Blanket. Cool, but I think that colour combination is a bit weird. Anyway, It is great because it is non-member! Now I have to go, I don´t really think I should be with the computer now.... See you in jamaa! Hiya! First of all, thanks to everyone because yesterday we got 745 hits. Today´s first new item is an underwater den item. I don´t really think it is going to be very popular. The second item is resold, but in new colours. Have fun in Jamaa and ejnoy the update! Halo: I don´t see the point in it when it is also a land item. The other item is a Coral Tombstone. I now have to go so I will update this when I can. Hiya! This is the new item. Member Only, of course... Well, these are its colours. Hiya! 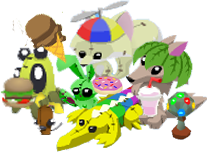 I now post for Animal Jam Crazy, TheSafari07´s blog. But I will still post here. So, Today´s item is a Phantom Mask. Hum... Looks good, but for some reason I don´t like it much. Maybe because it is member only? Maybe because it is 2,500 gems? I dont know. 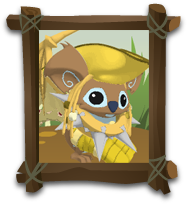 Anyway, see you in Jamaa and please visit Animal Jam Crazy! Scary Balloons and angry Pumkin mask. Hiya everyone! The first of today´s item is NON MEMBER!!! :D and is located in Jam-Mart-Furniture. I have always liked this item. It looks so cool! Have a Jam-tastic day everyone! Hi everybody! This is today´s clothing item. And the other one is an ocean den item. Hiya! Ghosts are back at Jam Mart Furniture. Nice decoration. Whish it was non member. Also, please vote in the poll I have putten! So cooooooooooooooooooooooool! And a resold member rare. Hiya! One of today´s item is the super hero cape in Bahari Bargains. Bye! See you in Jamaa! Hi! Epic Wonders, clothing, member item today. I used it for my halloween costume. Perfect for making a cementery in your Haunted Mansion´s garden. But member. Click to enlarge. Wow, so many wolfs! Tags: New Item., Random Stuff.